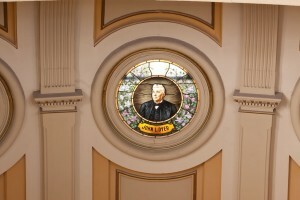 His face appears on a stained glass window in the dome of the Colorado capitol. He arrived in Colorado in the summer of 1861, delivered mail on snowshoes throughout the mountain range, and delivered nearly daily sermons in gold rush towns. In 1885, the Colorado Senate welcomed him as the first Senate Chaplain. His name was John L. Dyer. John L. Dyer was born in 1812 and was a well-known circuit preacher. He preached regularly on Sundays throughout the Midwest and, after arriving in Colorado on foot after his horse died while passing through Iowa, he continued his regular Sunday services and revival meetings in the gold camps throughout the Rocky Mountains. His circuit through different towns had him preaching up to three times every Sunday in addition to a service or two throughout the week, averaging four sermons a week. He bought himself a pony, and on days he wasn’t preaching, he prospected in Pennsylvania Gulch, which had previously been abandoned (Dyer 158). Times weren’t always easy living in the gold camps, and after a while, with winter approaching, Father Dyer started looking for additional employment to make ends meet, even working on Sundays when necessary “to prevent actual starvation” (Dyer 163). The following February, Father Dyer secured a contract to deliver the mail on snowshoes once a week. The pay was $18 per week, and the distance was more than 35 miles, but Father Dyer thought about the job, “I can preach about as often as I have been doing, and am not obliged to go on Sunday” (Ibid.). He fashioned some skis for himself to pass over the trails once the snow piled too high to hike through and skied through the mountains, delivering up to twenty-five pounds of mail and keeping the trails clear for other travelers while still keeping up with his weekly sermons. Often his sermons in the gold camps railed against the evils of alcohol, and though he did not imbibe, he admitted that he “was born with a love for whisky. I can not remember when, at the smell of it, water did not gather on my tongue.” (Dyer 15). In 1880, Father Dyer built his first church in Breckenridge. To get people from the town into the services, Father Dyer rang the town’s fire alarm. City trustees quickly revoked that privilege. In 1890, a steeple with a bell was added to the church; however, it was destroyed by vandals a year later and was not immediately replaced. 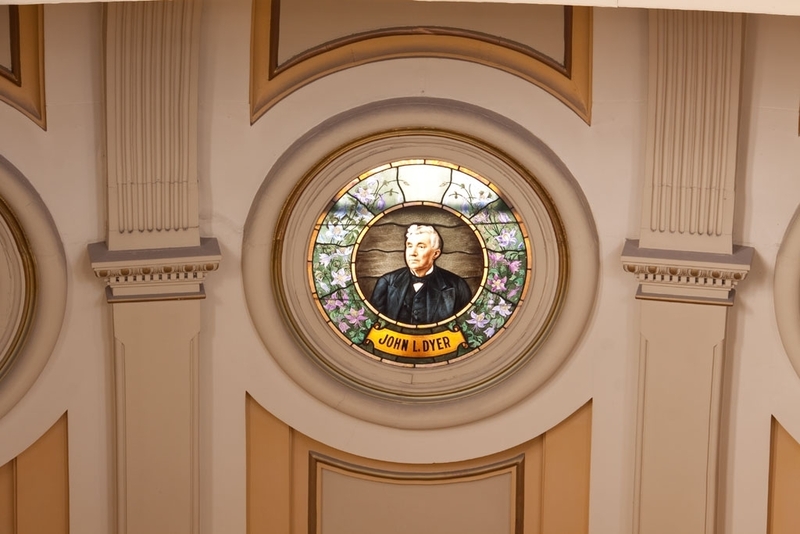 Father Dyer, after serving the legislature, returned to Breckenridge to preach at the church he started a few years previous, as he found the parish without a preacher. He picked up his circuit preaching at seventy-three years old and preached, by his own count, “three and a half times for each week.” (Dyer 345). After Breckenridge, he preached in Canon City, where he finally retired at age seventy-eight. On June 16, 1901, Father Dyer passed away at eighty-nine years old. He is buried next to his wife, Lucinda, and their son, Joshua, in the Castle Rock cemetery. Father Dyer’s autobiography, The Snow-shoe Itinerant, is available free-of-charge online, via Google Books here.